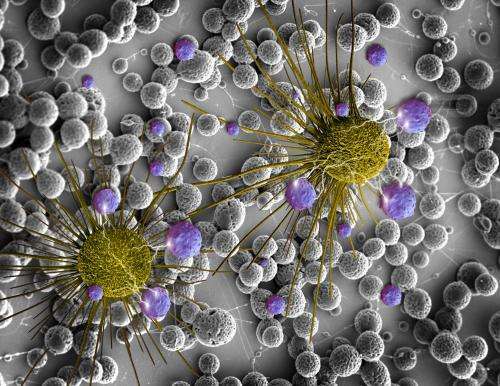 Consistently uniform, easily manufactured microcapsules containing a brain cancer drug may simplify treatment and provide more tightly controlled therapy, according to Penn State researchers. "Brain tumors are one of the world's deadliest diseases," said Mohammad Reza Abidian, assistant professor of bioengineering, chemical engineering and materials science and engineering. "Typically doctors resect the tumors, do radiation therapy and then chemotherapy." The majority of chemotherapy is done intravenously, but, because the drugs are very toxic and are not targeted, they have a lot of side effects. Another problem with intravenous drugs is that they go everywhere in the bloodstream and do not easily cross the blood brain barrier so little gets to the target tumors. To counteract this, high doses are necessary. "We are trying to develop a new method of drug delivery," said Abidian. "Not intravenous delivery, but localized directly into the tumor site." Current treatment already includes leaving wafers infused with the anti-tumor agent BCNU in the brain after surgery, but when the drugs in these wafers run out, repeating invasive placement is not generally recommended. "BCNU has a half life in the body of 15 minutes," said Abidian. "The drug needs protection because of the short half life. Encapsulation inside biodegradable polymers can solve that problem." 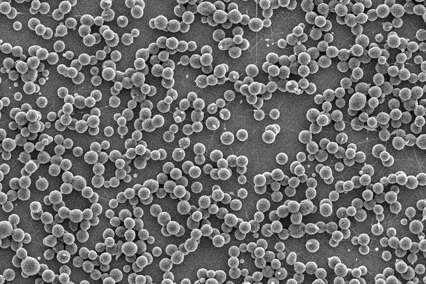 Encapsulation of BCNU in microspheres has been tried before, but the resulting product did not have uniform size and drug distribution or high drug-encapsulation efficiency. With uniform spheres, manufacturers can design the microcapsules to precisely control the time of drug release by altering polymer composition. The tiny spheres are also injectable through the skull, obviating the need for more surgery. Abidian, working with Pouria Fattahi, graduate student in bioengineering and chemical engineering, and Ali Borhan, professor of chemical engineering, looked at using an electrojetting technique to encapsulate BCNU in poly(lactic-co-glycolic) acid, an FDA-approved biodegradable polymer. In electrojetting, a solution containing the polymer, drug and a solvent are rapidly ejected through a tiny nozzle with the system under a voltage as high as 20 kilovolts but with only microamperage. The solvent in the liquid quickly evaporates leaving behind anything from a perfect sphere to a fiber. "Electrojetting is a low cost, versatile approach," said Abidian. "We can produce drug-loaded micro/nano-spheres and fibers with same size, high drug-loading capacity and high drug-encapsulation efficiency." 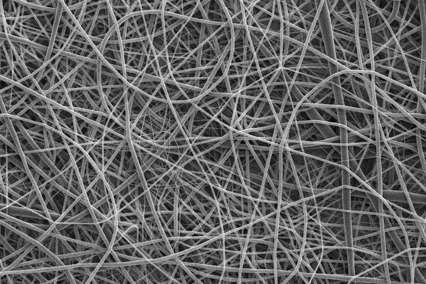 The researchers tested solutions of polymer from 1 percent by weight to 10 percent by weight and found that at 1 to 2 percent they obtained flattened microspheres, at 3 to 4 percent they had microspheres, at 4 to 6 percent they had microspheres and microfibers, at 7 to 8 percent they had beaded microfibers and above 8 percent they obtained only fibers. They report their results in the current issue of Advanced Materials. "Depending on the desired applications, all the shapes are useful except for the beaded fibers," said Abidian. "While fibers are not good for drug delivery, they are good for tissue engineering applications." The researchers also investigated the sphericality of the spheres. "We looked at how spherical they were and found they were perfect," said Abidian. They have a height versus width ratio of 1.05 and they have size uniformity. A perfect sphere would have a ratio of 1. The researchers also looked into how BCNU releases from the microcapsules. Using mathematics, the researchers established a drug diffusion coefficient for the encapsulation system. This helps in designing how much drug to include in each microcapsule and how long the microcapsules will deliver the required dosage. The researchers note that BCNU is not the only drug that can be encapsulated in polymer beads for drug delivery. Other drugs can be used but would have their own diffusion coefficients and half lifes.